The explosion of craft beer has in large part been because of the meteoric rise in popularity of IPA. This hop-forward beer has become so famous that, for many people, it’s the only craft beer style they’ve ever had. And because IPA has become so popular, beer drinkers across the country have started coming into contact with the names of the hops used in making these beers. But what flavors and aromas do they impart? What does it mean when someone tells you the IPA you’re holding was made with Simcoe or Citra hops? We’re here to help. 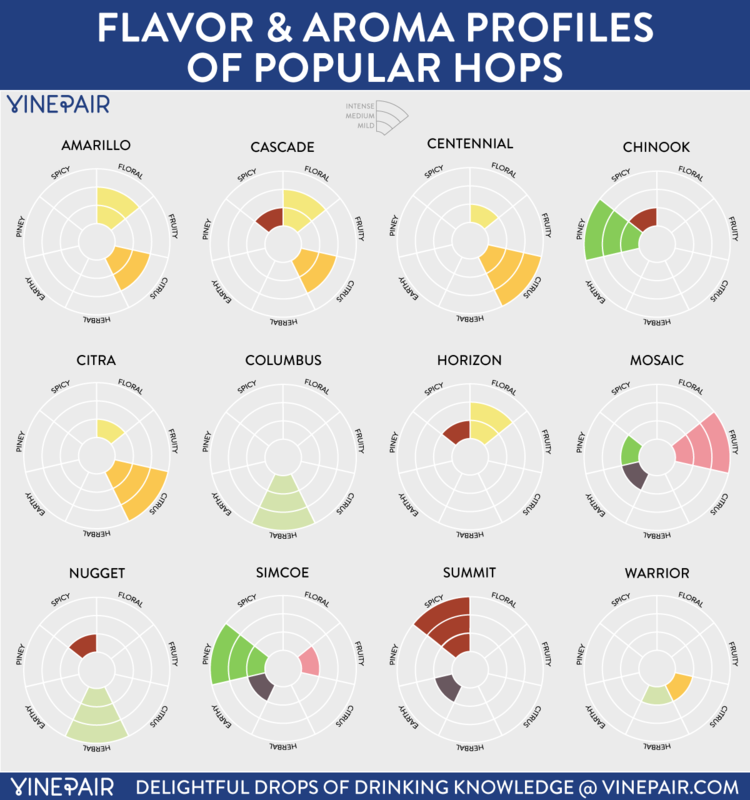 While there are dozens of hop varieties available, we’ve chosen to show you the flavor and aroma characteristics of the most popular hops. These are hop names you’re likely to hear in relation to some of the best-known IPAs on the market, meaning you’ll now have the opportunity to taste these beers with a whole new perspective, taking you from craft beer novice, to craft beer expert.